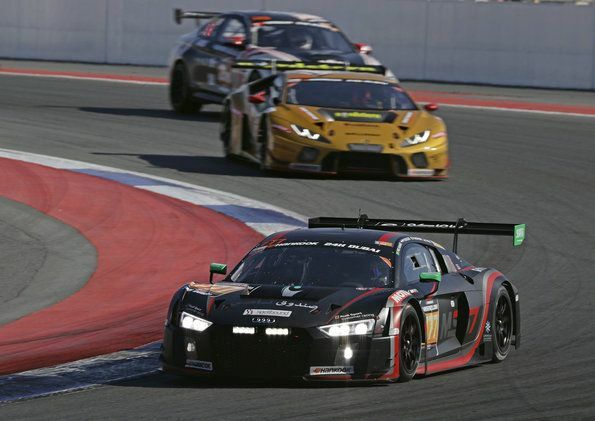 Jubilation at the beginning of the year: Team Phoenix Racing with Audi Sport customer racing celebrated the first 24-hour victory of the new Audi R8 LMS in the GT4 class. 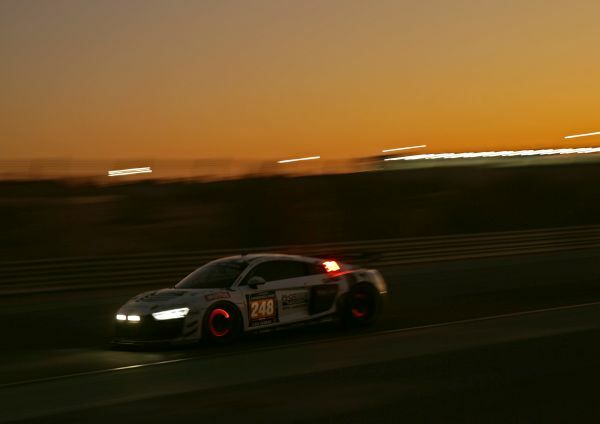 The career of Audi Sport customer racing’s most recent new product began with an endurance test par excellence. The GT4 version of the Audi R8 LMS has been available since December. 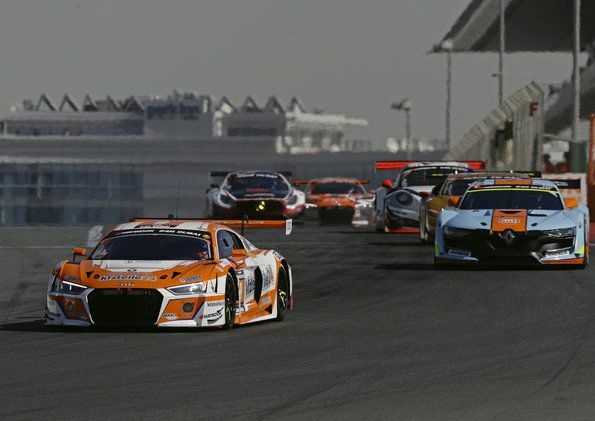 Exactly four weeks ago to a day following their delivery, the first privately fielded race cars met with nine competitors from five other brands in the season opener of the 24H Series. A European driver quartet was ultimately victorious. Philip Ellis/John-Louis Jasper/Joonas Lappalainen/Gosia Rdest won ahead of their Phoenix Racing teammates Adderly Fong/Charles Kwan/Marchy Lee/Darryl O’Young/Shaun Thong from Hong Kong. Audi permanently led the GT4 classification since the sixth hour of the race. Two title winners from the Audi Sport TT Cup – Briton Philip Ellis and Finn Joonas Lappalainen – had earned a promotion to the next higher racing category with Audi. Gosia Rdest from Poland had attracted attention with top performances in this one-make cup as well. A year ago, Audi Sport customer racing had achieved a premiere victory in Dubai as well – in the TCR class with the Audi RS 3 LMS. In this category, Team Bonk Motorsport contributed another podium place in 2018. Michael Bonk’s squad was not even discouraged by an early setback and with a combined effort demonstrated perfect team spirit. An accident on Wednesday that was not the driver’s fault meant that the 127 number Audi RS 3 LMS was unable to start at all. Consequently, the drivers, Michael Bonk und Volker Piepmeyer, switched to the number 115 sister car and, together with Hermann Bock and Max and Rainer Partl, clinched third place in the TCR category in front of the Audi RS 3 LMS from Lap57 Motorsport. In the GT3 class, Audi was less fortunate with the R8 LMS this year. Vincent Vosse’s team that competed under the name of MS7 by WRT this time, due to contact with other race cars, sport penalties and repairs, lost too much time to be in contention for victory again as it had in 2016. As a result, Mohammed Bin Saud Al Saud, Christopher Mies, Dries Vanthoor and Michael Vergers had to settle for seventh place in the end. The honor of being Audi’s best GT3 team went to BWT Mücke Motorsport. For the first time, Peter Mücke’s outfit contested a 24-hour race. Ricardo Feller/Christer Jöns/Mike David Ortmann/Andreas Weishaupt/Markus Winkelhock celebrated position five in the overall classification. Car Collection Motorsport finished the race with both Audi R8 LMS cars as well. Wiggo Dalmo/Gustav Edelhoff/Elmar Grimm/Dr. Johannes Kirchhoff/Ingo Vogler achieved fifth place in the A6-Am classification. Their teammates, Dimitri Parhofer/Dirg Parhofer/Frank Stippler/Rémi Terrail/Isaac Tutumlu Lopez, took ninth place in this class. In just two weeks’ time, the next iconic endurance race will be on the calendar of Audi’s customer teams. In the 24-hour race at Daytona and in the supporting program, all three of Audi Sport customer racing’s race car models will be on the grid for the first time in North America.